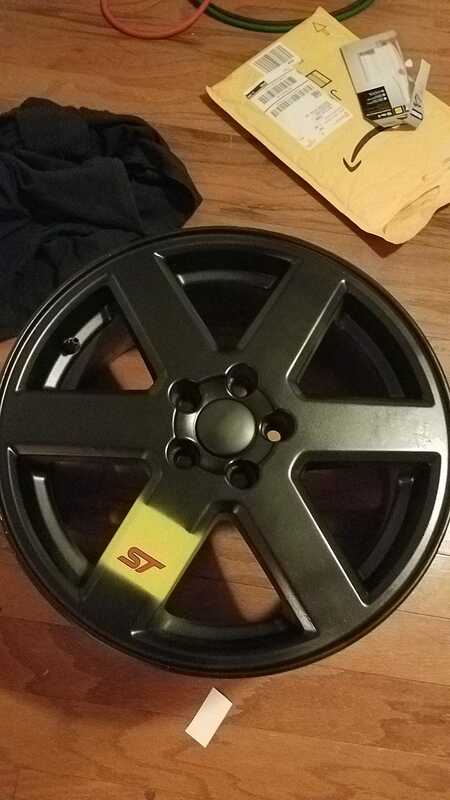 An update to my last post - the wheel has been clear coated and the logo applied. Not bad, if I do say so myself. XC90 rims on a focus ST - recommended. Just make sure to paint them black first.